Facebook has always been the number one social network on the internet for several years, so they always try to secure their position with new features in their different applications to keep their users happy. Other tools like Messenger and Hello, and even the new virtual assistant of Messenger “M” make that we prefer Facebook first than to other social networks. Now has launched a new application, which is called Facebook Moments , surely with the name we get some idea about what this application is about, which is also a social network. 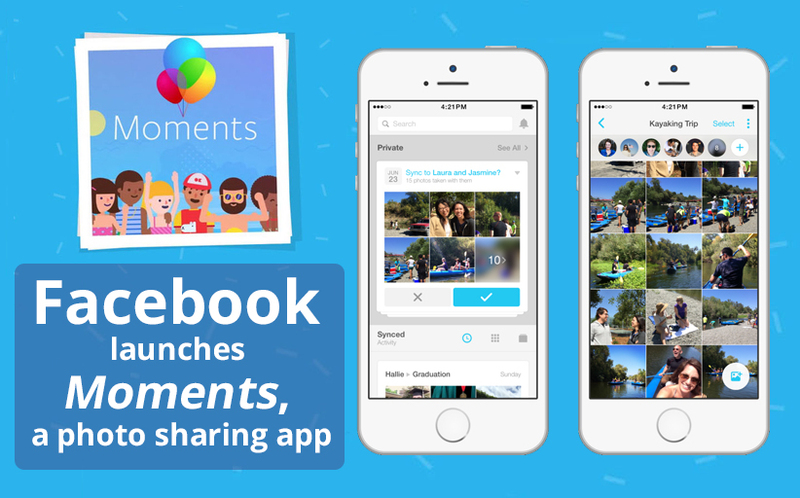 Facebook Moments aims to change the way we share photos of events and moments with our friends. Facebook Moments is to collect all the photos of ourselves so those photos are on our phone or not. For example if you are in a party and some friends decide to take pictures with you but with their cell phones, you will no longer have the need to ask them if you want to get them, since Moments will take care of this. The moment your friends decide to upload it to moments it will automatically proceed to detect that in that photo you are, and will synchronize with you quickly. When you enter it you will be asked to select some recent photos according to the people that appear on it and the date taken. In this way the application understands that they are of the same Moment. After selecting a photo will give you some options, such as sharing with a friend or another social network and add more photos at the moment. You can also create a moment in a very simple way, in addition you can save in your Smartphone all the photos that your contacts are adding. The photos that are added in Moments are private until one of your friends or you decide to make it public, or when you share it in another social network like Facebook. Thanks to the fact that this tool works with facial recognition just as Facebook does when it shows us the options of labeling someone, it is that this application becomes so useful for users. Also it is necessary to emphasize that it is necessary that Moments is active as long as the mobile is connected to some wireless internet network. So it could generate some inconveniences with respect to the battery life and the space that occupy in the RAM of our device. Another drawback of Moments is that the privacy limits are very few, as this application can access much of our personal information. Now let’s briefly see what Facebook Moments can do; Has the ability to keep our photos organized in a private and hidden place; You can do a search of all the photos where we are and store them in our device. Besides these photos we can share them with our friends in any other social network. It also allows you to add filters, edit and create albums, and like any other photo management application we can leave comments. Recently Facebook has created a web version of this application, apparently the only thing it does is show the photographs but does not allow any action. So it is believed that Facebook uses it as a method for users to be forced to download the application.